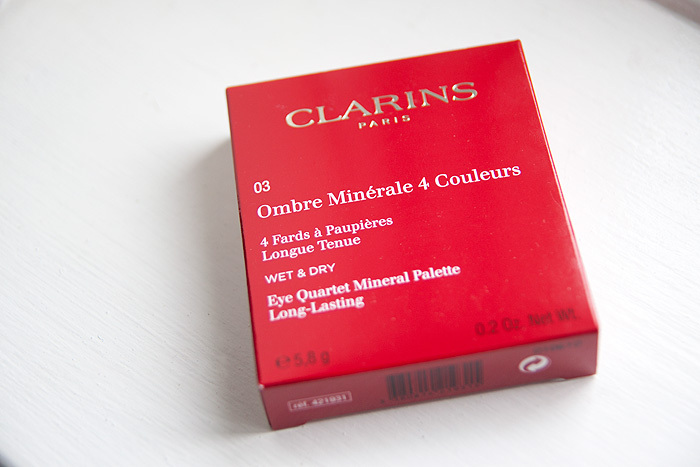 Clarins Ombre Minerale 4 Couleurs Eye Quartet in Rosewood is a new release from the French brand and comprises one palette from the new 6-piece eye collection for Autumn/Winter. 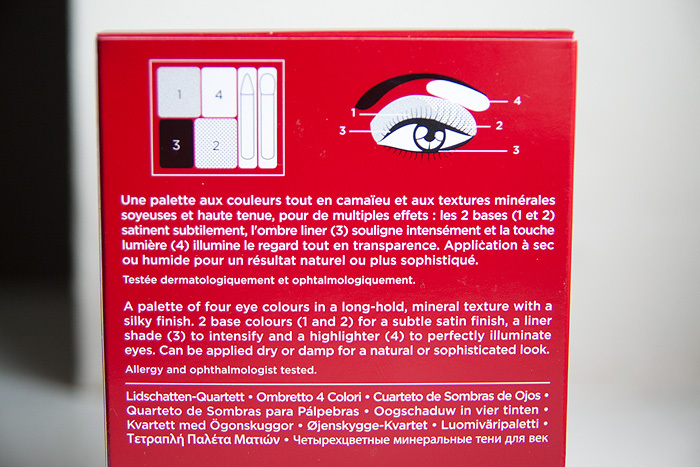 The packaging includes a face chart displaying some useful positioning tips for makeup newbies. Four mineral shades that can be used wet or dry. Two satin shades, a darker eye shadow liner and an iridescent highlighter. The highlighter is very sheer and provides a sophisticated sparkle rather than any real colour. Swatched dry without base or primer. Around two/three swipes each. 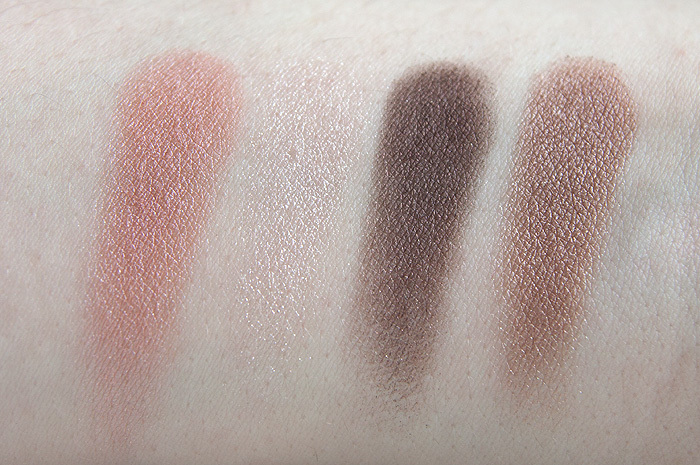 The Rosewood palette contains four very wearable, neutral shades that would suit most skintones. 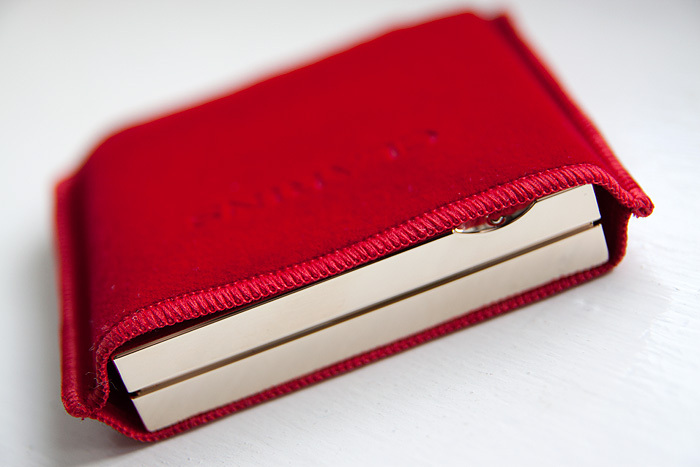 It’s a sheer but buildable palette – something that I’ve come to expect from Clarins. If you want immediate, intense pigmentation – you’re looking in the wrong place. If you want something that you can wear to work without fear of overcooking it, this could be just what you need. 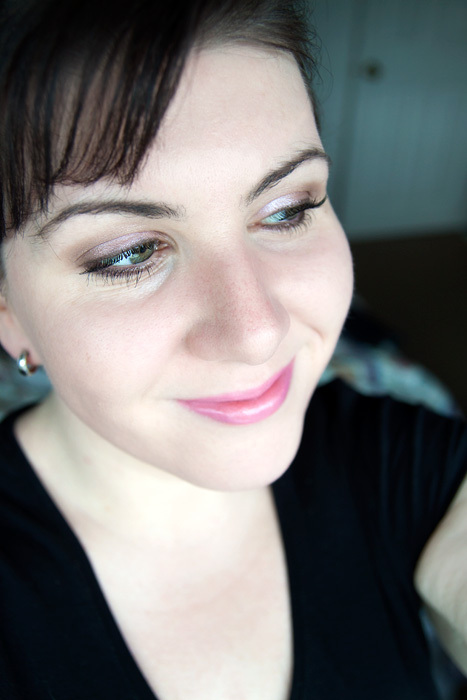 You can see from this (rather goofy) FOTD that the palette provides a delicate iridescence. I think it would really suit anyone who feels they might be a bit too mature for sparkle or metallics but aren’t quite ready to go down the all matte route just yet. I found the shades to be exceptionally long-lasting though the darkest (and most matte) was not quite as smooth as I would have liked. It looks really pretty, like the kind of thing I’d want for my wedding make up. Nice palette! The colors look very pretty on you! Ooooh, very soft neutrals. Not sure if this is up my alley. This is beautiful, it really is. But i’m so iffy about buying pricy neutrals. ; _ ; So torn. It looks really lovely but perhaps a bit too pink for me. You look fab though. the colours are sooo ausummm…. I am new to your site, and first off I have to say that you are ridiculously gorgeous! Just sayin’. 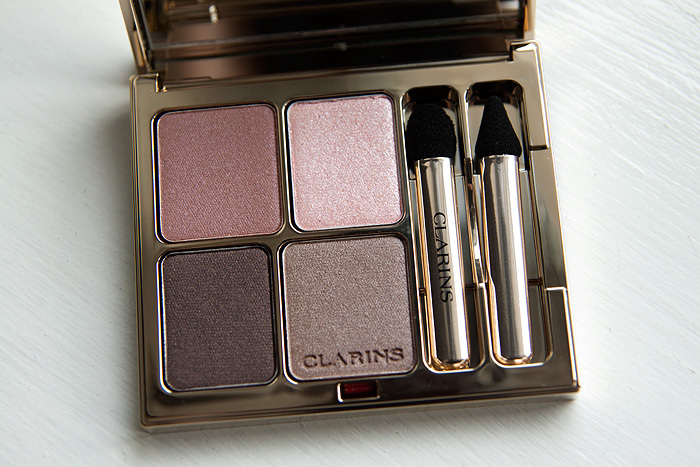 As for this eye palette… it sounds like it’s right up my alley. Neutral, soft… I love it already!